Say goodbye to long changing room lines! 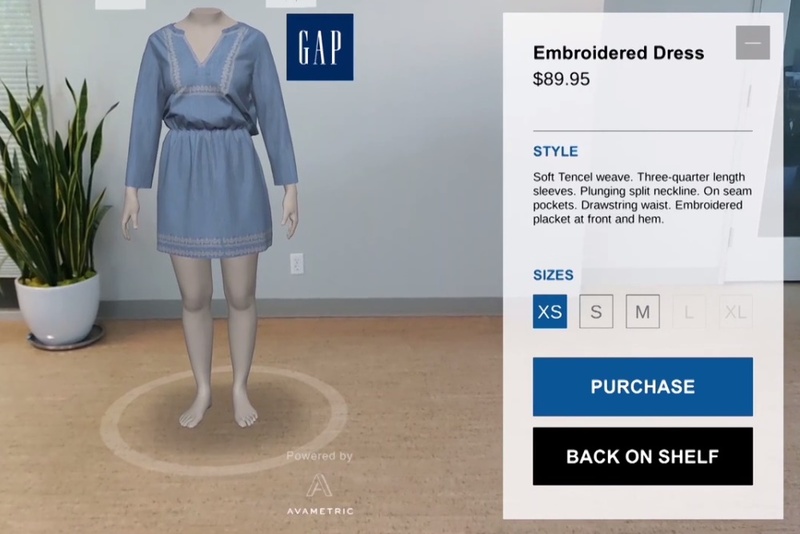 Gap has unveiled a new augmented reality app called DressingRoom by Gap that lets customers try on pieces of clothing without ever stepping into a store. Created in collaboration with San Francisco-based app developer Avametric and Google, the app helps customers virtually try on clothing using a smartphone. After choosing a Gap style of their preference, they can select one of five body types featured in the app and if they like how it looks, they can simply buy it online. Gap has been working on the fit of its products so they match the way their customers are actually shaped, as oppose to models. One of the brand’s top priorities is continuing to improve their technical knowledge about how fabric stretch, drape and feel impact the sensation of fit. As part of this process, customer information was input into the Avametric technology, backed by the Google Tango platform and ASUS hardware, to develop the DressingRoom by Gap app. Gap’s commitment is to make it effortless for customers to look great and on trend, while delivering products that fit and make them feel confident. As technology keeps changing the way customers engage with brands, browse products, and shop, Gap wants customers to be assured that the product they see will fit the way they expect.